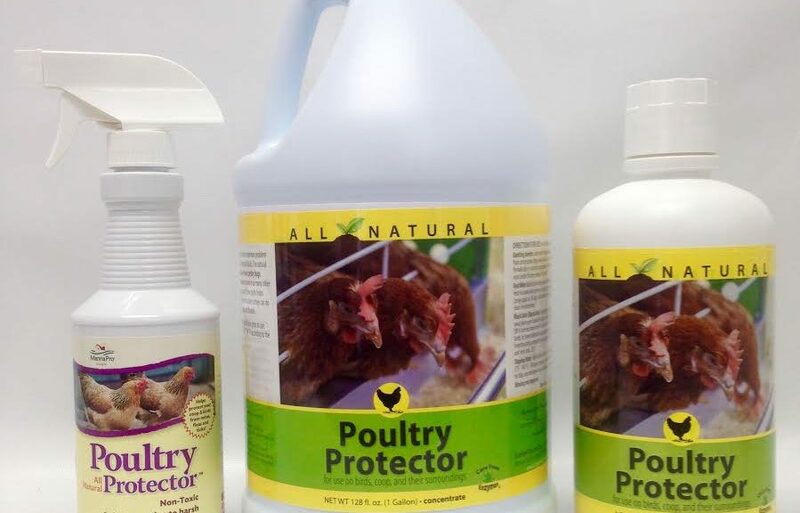 As the creator of Carefree Enzymes Poultry Protector, a natural pesticide poultry product, I have received hundreds of phone calls from distressed backyard poultry enthusiasts . The vast majority of these calls were simple and to the point “My birds have bugs” not that they have lice, mites, or some other type of parasite, no their birds have “bugs”. Many of these calls became very detailed about the specific behavior of their birds; “Out of a flock of 12, 3 won’t go into their coop at night.” “My favorite bird just lies around and sulks all day.” Many of my conversations would be comical at times, whilst others would be heartfelt because they didn’t catch the parasite infestation in time. Now more than ever parasite infestation will affect the bottom line of both the small backyard flock or the massive poultry house. With the tremendous increase in feed and transportation costs parasites, when left uncontrolled can devastate a farm, not only in mortality rates but in reduction of egg production and that of body weights of broilers. Many people have heard of or have used these products sold under different brand and trade names, Chemicals are not selective, they target and kill the basic ecosystem of our environment. If chemicals kill trees, what could they do to ladybirds and other beneficial insects? For example, without bees nothing will come pollinated, yet we use chemicals thinking we are protecting our flock. We grow flowers, have gardens and raise crops only to be killing th true insect that assists in their growth. Without a pollinating insect we would have very limited harvests to look forward to. Mites and Lice commonly travel to chickens, game birds and turkeys, via wild birds such as sparrows, black birds and pigeons, to name but a few, wild birds carry disease and parasites that can be easily transferred to your flock. Rodents also carry diseases and parasites. On both types of carrying hosts parasites can live for several months, mating, hatching and transferring to your birds. No farm is immune to unwanted outsiders like mice, rats or wild birds. Mites are related to the tick family there are 20,000 species of mites known as Arthopod in vertebrates sub class Acari “8 legs, 2 body parts”. Lice, on the other hand, have 3 parts. Heads, thorax and abdomen with 6 legs. There are 1 million species of lice. Natural ways to control infestation. Never introduce new birds to your flock without making sure they are parasite and disease free houses; bird droppings are a magnet for disease. Several times a year you need to do a thorough cleaning and disinfecting of the entire poultry house. Thoroughly remove all bedding and litter from the coup. It is highly recommended that all debris be removed from premises or burned. Spray everything, including cracks and crevices. Each and every bird, regardless of the infestation, should be sprayed or dipped ground; it is recommended that grounds around poultry houses should also be sprayed. roots; painting roots will help combat chicken mites and bed bugs. Scaly leg mites: never never use any automotive product on your birds. Coat entire elg with petroleum jelly or other medicated salve such as sulfur ointment. It is very difficult to know what parasite has infected your birds since one parasite can mimic another. Using a magnifying glass will help you identify the infestation. A common misconception is that chemicals work better than organic products. Nothing can be further from the truth. Organic products need time to obtain their desired results. Chemicals are the instant kill and results can be noticed within minutes. Organic products may take a few days. We all raise poultry for a variety of reasons, egg or meat consumption or as loving pets. We have heard the words “you are what you eat” this is also true with your poultry. Chemical treatments will eradicate a parasite problem and at the same time may harm your bird without you knowing it. Chemicals come with hazard warnings to numerous to mention in this article. Please remember anything you place on the ground will be ingested by your flock. Very few farm stores offer natural products that protect our livestock and our environment. Earlier I spoke to a farm store that said they only carry the nasty stuff because his customers don’t want or don’t know about natural products available. This tells me that if you the consumer, do not demand safe and natural products, retail stores will have no reason to carry them. So please if you tryly want to protect your birds insist – even be persistent – that your local stores carry natural products. Most aggressive mail order companies are offering organic products and those that don’t should. A parasite free bird is a healthier, more productive bird.